Uber, the US-based ride-hailing giant has acquired UAE-based Careem in a deal worth $3.1 billion in a cash and stocks transaction. Uber will pay Careem $1.4 billion in cash and the remainder in convertible notes marking the biggest exit of a technology startup in the Middle East to date. The transaction is expected to close in the first quarter of 2020. According to statement from Careem, the company will remain a "wholly owned subsidiary of Uber, operating independently with its own brand and services. Careem will retain the name, app, branding". 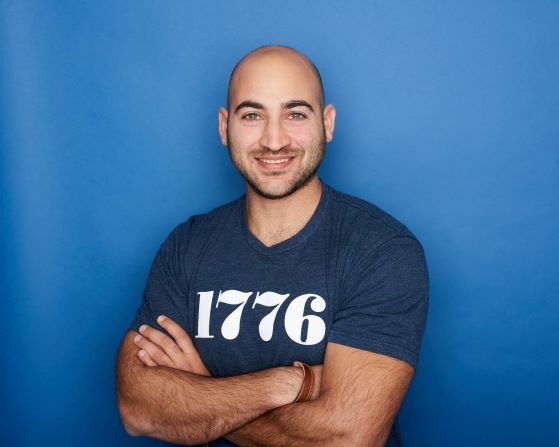 Careem was founded by Magnus Olsson and Mudassir Sheikha in 2012 and within four years became the Middle East and North Africa’s (Mena) first technology startup to become a unicorn, a company valued at $1 billion. Today, Careem now operates across 120 cities in 15 countries and has 33 million users and 1 million drivers. 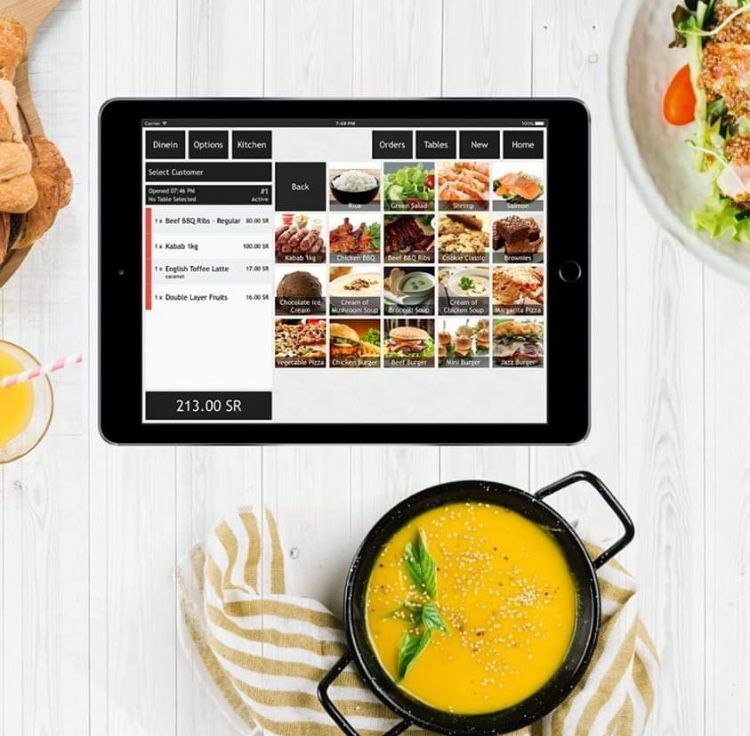 It also has several other offerings beyond ride-hailing, including a delivery service, food delivery and is currently exploring financial technology solutions. "Joining forces with Uber accelerates our collective ability to improve the region's transportation infrastructure at scale and offer diverse mobility, delivery and payment options," added the Careem statement. The acquisition will no doubt strengthen Uber’s position in the Middle East, where it operates across eight countries and offers some of its other services like Uber Eats, Uber Scooter and an on-demand bus service that it first launched in Cairo. One of Uber’s biggest investors is also in the region, back in 2016, Saudi Arabia’s Public Investment Fund (PIF) injected $3.5 billion in cash into the company for a five per cent stake. "With a proven ability to develop innovative local solutions, Careem has played a key role in shaping the future of urban mobility across the Middle East, becoming one of the most successful startups in the region," said Dara Khosrowshahi, chief executive offier at Uber. 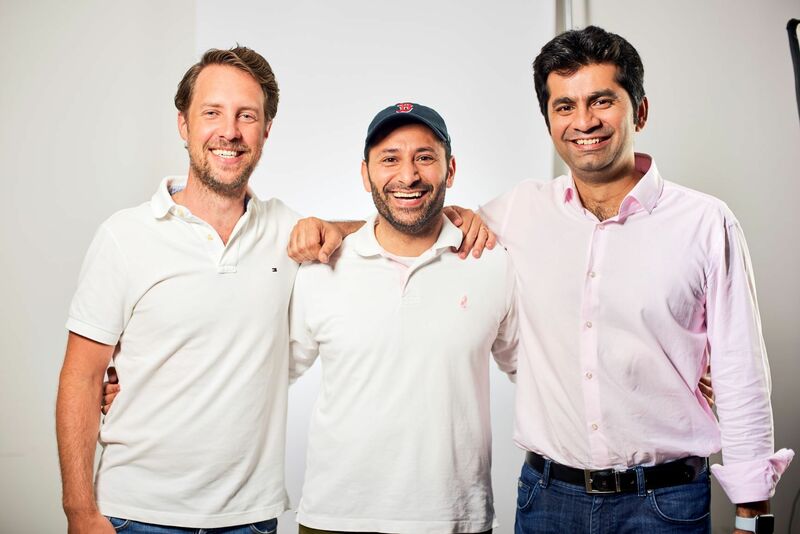 "Working closely with Careem's founders, I'm confident we will deliver exceptional outcomes for riders, drivers and cities in this fast-moving part of the world." 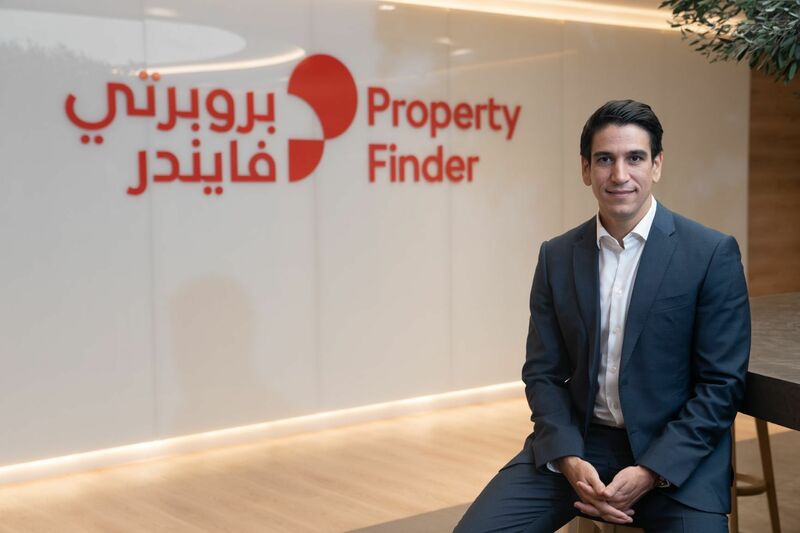 In its initial few years, many investors were reluctant to place their bets on Careem, believing it would not be able to compete with Uber, despite the fact that Uber was the second entrant to the region and had yet to establish as strong a presence. Many also believed that Careem’s valuation was too steep. Having worked as consultants for McKinsey and Company, Olsson and Sheikha understood the dynamics of the markets in the Middle East and were able to pivot and react quickly to customer needs. 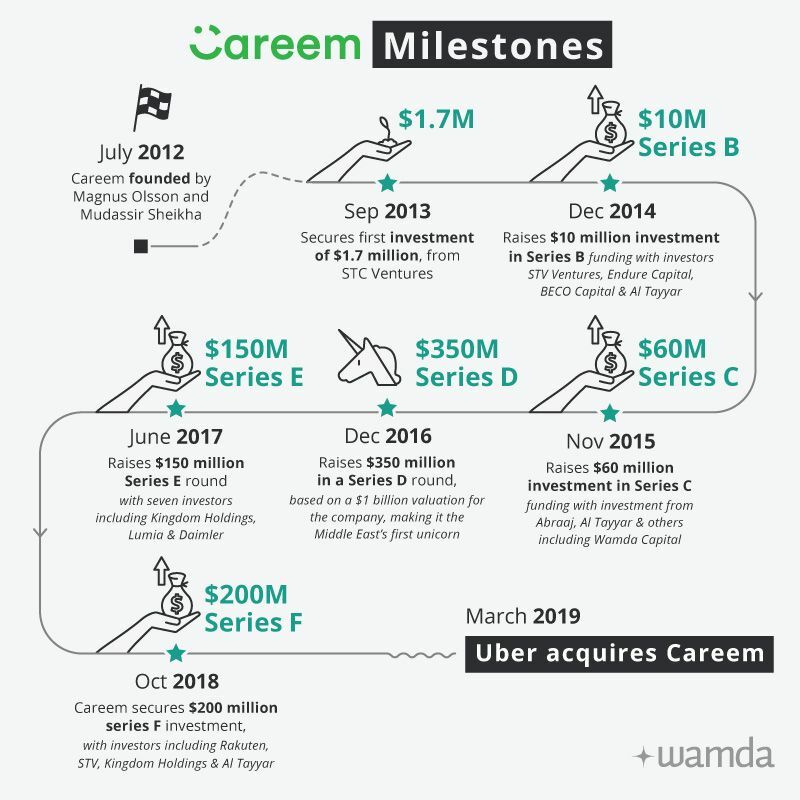 It was Careem’s ability to scale so quickly to the region’s most important markets – UAE, Saudi Arabia and Egypt, at times launching when regulators were ill-prepared for the ride-hailing revolution, that enabled them to stay ahead even when Uber did launch in the UAE in 2013. Careem has raised $800 million to date and in its last round raised $200 million, valuing it at $2 billion. For Uber, this acquisition places it in good stead for its initial public offering (IPO) on the New York Stock Exchange expected to take place in April this year at a valuation of $120 billion according to some reports.